Teaching for some is a profession but for some it is their passion. It is not easy to impart the lessons the teachers want to give to their students specially to those who have learning disabilities. But the teachers must also remember that the knowledge they want to give the children is not that easy for them as well. 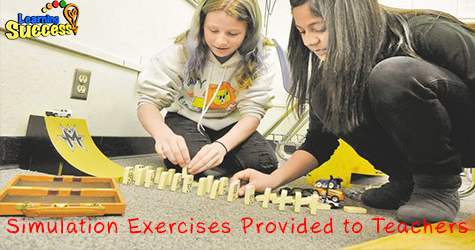 The dyslexia simulation exercises provided by Southeastern Louisiana University aims to do this assist both the students and teachers. “The role of an insightful teacher in working with a child with dyslexia is critical, and their perceptions play an important role in learning,” explained Elizabeth Wadlington, professor of teaching and learning in the College of Education and Human Development. She coordinates dyslexia simulation exercises for students at Southeastern every semester." Southeastern Louisiana University has taken the step to further help dissolve the barriers of dyslexia. Institution like this should be applauded for thinking of ways to help the education system better.